During the past few years, SUVs have become a popular symbol of excessive consumption and disregard for the environment. What many people don't know is that in the United States, buildings consume six times as much energy and produce six times as much greenhouse gas emissions as all cars and trucks combined. Not just SUVs, mind you, but all cars and trucks combined. The implications of that startling fact were the focus of the October 2003 cover story in Metropolis magazine and a series of symposiums held around the country. At these sessions, entitled Key to the Global Thermostat: The Architect's Role in Global Warming, architect and environmentalist Ed Mazria passionately delivered his message: "If architects don't attack this, then the world doesn't have a chance." The environmental consciousness movement has been around since at least the early 1970s, but it has really gained momentum in the past ten years. Increasingly, architects are searching for ways of saving energy and minimizing buildings' impact on the natural environment while creating comfortable, pleasant environments for people. Few of them seem to realize, though, that one of the best design strategies is right under their noses or, rather, right under their feet. The development of modern underground architecture has paralleled that of ecologically responsible design since the energy crisis of 1972. They have grown like separate branches of the same tree moving almost independently and attracting different nesters. Somehow, their connection is generally overlooked. 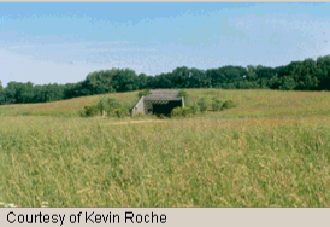 Controlling erosion, sedimentation, and stormwater runoff; often, this is done by covering much of the site with vegetation. Reducing the environmental impact from the location of a building on a site; a recommended way of doing that is by designing a minimal footprint for the structure. Conserving existing natural areas or restoring damaged areas, which provides habitat and promotes biodiversity. Connecting indoor and outdoor spaces through the introduction of daylight and views; you might not expect this to be a characteristic of underground buildings, but some of our examples will give you the picture. 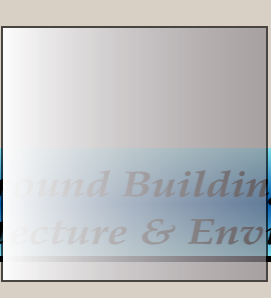 Reducing heat islands (temperature differences between developed and undeveloped portions of the site) that can alter the microclimate and human and wildlife habitat; suggested strategies include minimizing the building footprint and installing green roofs. Reducing energy use (going underground typically saves 5080 percent). 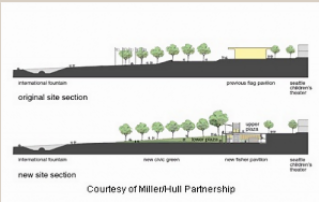 Reducing light pollution; one suggested strategy is using low-reflectance surfaces. Other: up to four points can be added for innovations in design that substantially exceed a LEED performance credit, such as energy performance, or that address unlisted issues such as acoustic performance, education of occupants, and community development. Those eight categories could produce as much as 22 points toward the 26 required for green certification. The environmental consciousness movement has been around since at least the early 1970s, but it has really gained momentum in the past ten years. Increasingly, architects are searching for ways of saving energy and minimizing buildings' impact on the natural environment while creating comfortable, pleasant environments for people. Few of them seem to realize, though, that one of the best design strategies is right under their noses - or, rather, right under their feet. The development of modern underground architecture has paralleled that of ecologically responsible design since the energy crisis of 1972. They have grown like separate branches of the same tree - moving almost independently and attracting different nesters. Somehow, their connection is generally overlooked. Reducing energy use (going underground typically saves 50-80 percent). The newest of our examples, completed in November 2002, the Fisher Pavilion in Seattle is the only one to have been officially LEED certified. The 24,000-square-foot multipurpose pavilion supports a 19,000-square-foot rooftop plaza for outdoor events. Glass walls on one side of the building provide exterior views to the entire interior space; furthermore, they can be raised like garage doors to physically integrate the indoor space with the outdoors. Energy savings are accomplished not only by the earth's thermal protection, but also by decreased need for interior lighting. 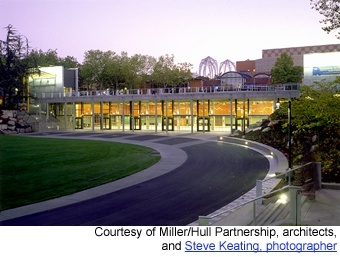 The building, designed by the Miller/Hull Partnership, was honored by the American Institute of Architects as one of its "Top Ten Green Projects" in May 2003. This 7,000-square-foot museum, which opened in 1991 is located inside a shallow hill so as not to distract from a restored eighteenth-century colonial mansion, a minimally reconstructed settlement destroyed by Indian revolt in 1622, or the natural landscape. What could be greener than a building totally covered with grass? Due to budget constraints, the museum closed in 2002, along with the entire Carter's Grove plantation, where it is located. 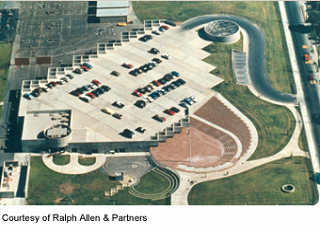 Completed 1994, this 110,000-square-foot facility encompasses 222 cells (accommodating 363 beds) as well as common areas and oversight spaces. The building is as much as 60 feet below the hill's surface. California law dictates that prisoners have a right to discern between night and day, so skylights provide abundant natural light. Designed not to compete with the appearance of the Marin County Civic Center, Frank Lloyd Wright's last design project, the jail literally disappears into the natural environment. Designers at DMJM incorporated other ecologically sound details such as recycling gray water. Built in 1974, these twin condos were the first modern underground multi-family units to be built in the United States. Architect and owner William Morgan reports they are still constantly occupied. 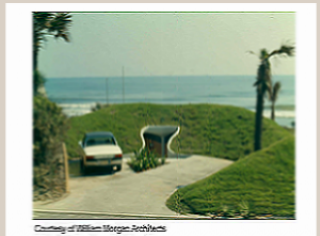 Morgan's main goal was to build the loft apartments without obstructing the ocean view of neighboring properties. As a bonus, they consistently use half the electricity of comparable aboveground buildings. This Materials Science and Engineering laboratory building improved both the manmade and natural environments at the University of Washington. Constructed in 1987 on what had been a drab, paved parking lot, it created a more attractive forecourt for historic Roberts Hall; the sloped lawn leading to its entrance has become a popular spot for students to relax between classes. The light moat that originally served the daylight basement of Roberts Hall now serves the same purpose for the rear of Mueller Hall. 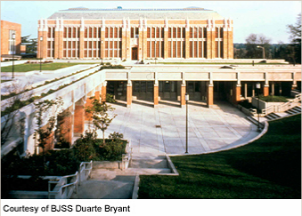 In addition, large windows along the front of the subsurface building brighten its classrooms and offices. Malcolm Wells, a pioneer underground architect, rescued a small lot in an undesirable location when he built this office suite in 1971. The 60-by-90-foot plot, which sits 20 feet from a six-lane highway, had been stripped bare and used as a storage site for highway department supplies and equipment. After building the structure, Wells covered it with 3 feet of soil, added some dead leaves as rudimentary compost, and let nature reclaim the surface. Besides being energy efficient, the office spaces - and even the open courtyard between them - are completely isolated from the traffic noise. Noise control was a primary consideration in building this underground school, which is located so near Los Angeles International Airport that passenger jets frequently roar overhead at altitudes just over 200 feet. Also, stacking the parking lot on top of the classrooms enabled the district to build the school in 1990 on 9.3 acres rather than the 12 acres normally required for a 1,000-student facility. Besides looking nice, green roofs provide many other benefits: cooling the roof by evaporation, protecting the roof from destructive ultraviolet rays, retaining and using rainwater, and cleansing the air by converting carbon dioxide to oxygen. 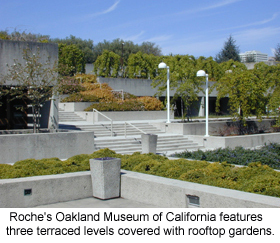 Although not the first significant green roof installed in the United States (two buildings at New York's Rockefeller Center sported them as early as the 1930s), this terraced, park-topped museum integrates the indoor and outdoor environments more thoroughly than most. The 98,000-square-foot complex, which houses three museums, was built in 1969 for the same cost as a typical high school in suburban California. Because 75 percent of the surface-level roof of this electronics manufacturing plant is covered with vegetation, its owners were able to construct a larger facility on the site than the zoning ordinance would have otherwise allowed. With 77 percent of its space located under that park-like plaza, it also gives nearby residential communities a more natural view than a 35,000-square-foot surface structure would. 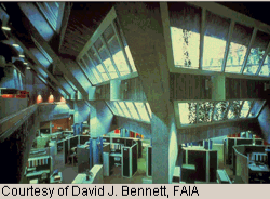 It was built in 1981 with an energy-efficient feature that also reduces nighttime light pollution: Exterior security lights are shielded to direct their illumination ground-ward, and some are positioned to shine down into skylights, lighting below-grade areas in lieu of interior lighting that would escape toward the sky. Built in 1977 as a demonstration project for underground buildings, this University of Minnesota building houses administrative offices and the main campus bookstore. It occupies a formerly open quad without blocking views of historic buildings or disrupting customary pedestrian traffic patterns. Its energy efficiency not only generates much lower heating and cooling bills each year than aboveground buildings, but it also reduced the building's initial construction cost by allowing installation of a smaller HVAC system. Underground buildings are practically tailor-made for achieving LEED certification. Yet, in the documentation of the LEED rating system, the word underground appears only twice - and only in the context of underground parking. The guidelines suggest other ways of satisfying specific criteria, such as incorporating garden roofs or minimizing the building's footprint, but it completely overlooks the option of designing subterranean spaces for human occupation. 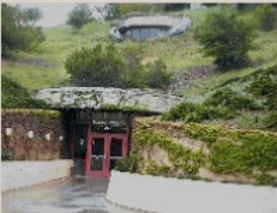 This web site and its companion book are designed to awaken developers and designers to the possibilities of earth-sheltered or earth-covered structures for a wide range of building uses. After extensive research on the pros and cons of subsurface structures, author Loretta Hall takes a measured approach, offering neither a sweeping endorsement nor a blanket rejection. "I'm not trying to say what should be built," she explains. "I'm just showing what is already being built." Underground buildings may not be the right choice for every project, but they deserve to be considered on an equal footing with other architectural options.